In this blog post I will cover section 1 objective 1.3 of the VCAP6-NV Deploy exam. 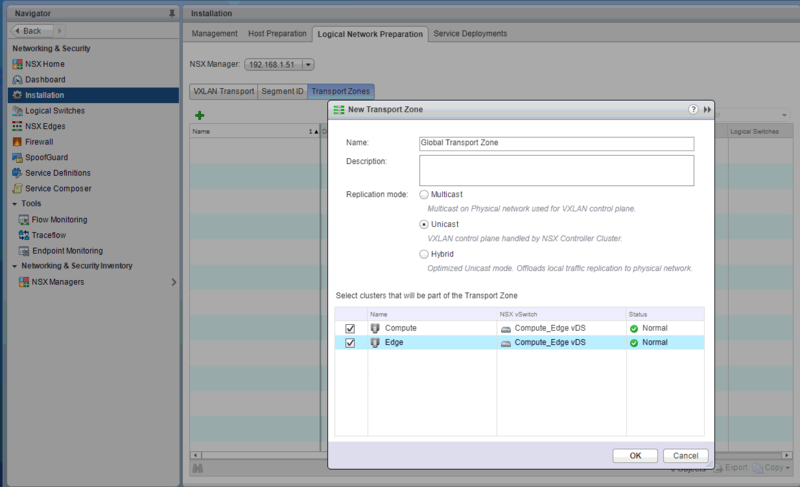 A transport zone determines which hosts will be included in a logical switch domain. A transport zone can span one or more clusters. They determine which VMs can be used in a certain network. You can have multiple transport zones and a cluster can belong to multiple transport zones. But a logical switch can only belong to one transport zone. The span of a logical switch is limited to the transport zone that it belongs to. A distributed logical router can connect to logical switches that are from different transport zones. Once you connect to a logical with in one transport zone with the logical router, you will only be able to select from other logical switch within the same transport zone. 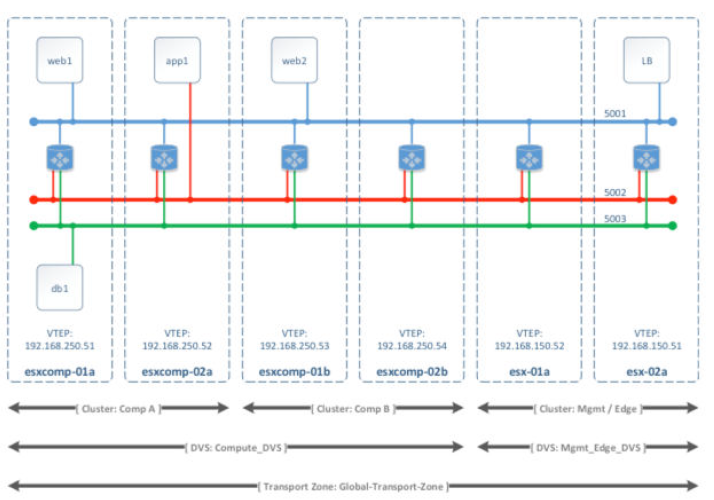 All logical switches within a transport zone will be visible to all VMs within the clusters within the transport zone. If you have VMs that are a part of a cluster that need to be secured, then you might consider creating a separate transport zone strictly for the secured VMs. Best practice is to make sure that the span of your vDS matches your transport zone span. That means that you should make sure that all clusters that are a part of vDS be included in a transport zone. To create a transport zone, navigate to Networking & Security > Installation > Logical Network Preparation > Transport Zones and click the green +. Select the clusters and replication mode that you want to use. Click OK.
Now you see your newly created Transport Zone. Unicast: The control plane is handled by an NSX controller. All replication is done using unicast. All unicast traffic leverages optimized headend replication. No multicast IP addresses or special network configuration is required. A VTEP proxy is chosen by the ESXi host to handle replication of BUM (Broadcast, Unicast,Multicast) traffic for the remote segment. So the source VTEP replicates the encapsulated frame to each local VTEP and remote VTEP using unicast. 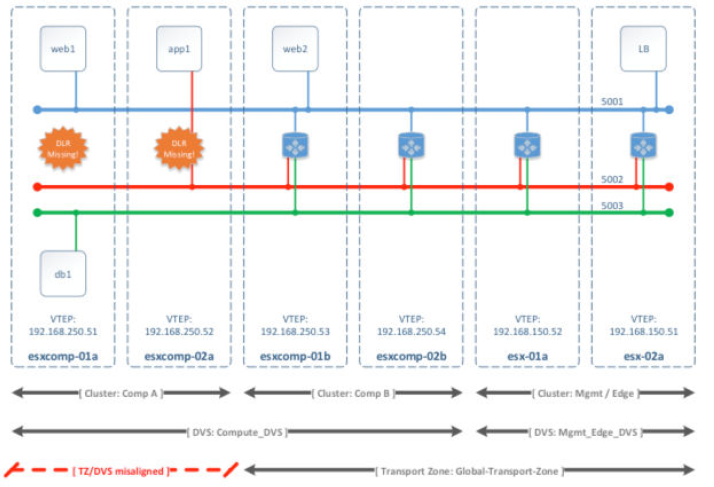 The destination VTEP receives the frame and then replicates that frame to each local VTEP through unicast. Hybrid: This mode works similar to unicast mode except it offloads local traffic replication to the physical network. This requires IGMP snooping on the first-hop switch and access to an IGMP querier in each VTEP subnet, but does not require PIM. The first-hop switch handles traffic replication for the subnet. So the source VTEP replicate the encapsulated frame to each local VTEP using multicast and it replicated the encapsulated frame to the remote VTEP using unicast. The remote VTEP then replicates the frame to each local VTEP using multicast. Just like adding a cluster to a transport zone, removing one is similar. Right click on the transport zone and click Disconnect Clusters. Then deselect the clusters that you want to remove from the transport zone.